We live in a very stressful world. Nowadays it is especially important for educators to find the best ways to engage students. One way is to give them fun and funny activities that will make the students smile and laugh. Try and consider classroom activities where students create funny blog ideas. Have the kids be the main audience. 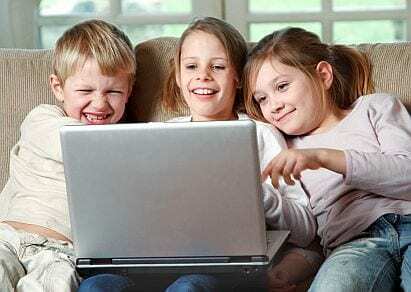 Kids enjoy funny blog ideas the most. These type of activities also get them interested in the world of blogging. Before students start writing, they should first think of a topic and theme they want to cover in the blog. Decide the jokes ahead of time. The jokes should be amusing to the target audience they want to entertain. It is always best to write about personal experiences. It is a good way to engage the audience and have a powerful relationship with readers. Blogs can be about funny activities or events in school. This helps kids link the occasion in the blog with their school life and experiences. It will make the overall experience funnier and more meaningful. Students can also post about crazy events in their lives. It will draw the attention of more visitors to the web page. Encourage students to use every day language when posting funny blogs. Jokes about parents, friends and sometimes teachers are loved by kids more than anything else.Just make sure the jokes are not hurtful to anyone. Students can also write about crazy things they witness such as a funny person they met at the mall, how a friend got stuck when coming back from school, etc. Try to always use familiar phrases. This helps stir the mind of the readers and then they will identify with the kid’s sense of wackiness. Write about favorite pets and the funny things they do. Always try to crack fresh new jokes. Kids can do this by finding the latest joke going around school that has everyone talking. Make the headings of the blog attractive. Write titles like “Funny Story of the Day”, “Joke of the Century” and other titles that alert the audience that something funny is coming up. Read more about funny blog ideas and funny blog pictures.